Babies will love exploring this Christmas-themed board book. Learn all about Christmas with fun touch and feel textures! 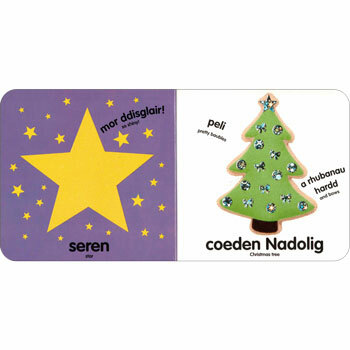 Babi Cyffwrdd a Theimlo Nadolig / Baby Touch & Feel Christmas is a dual-language book with the full text printed in both Welsh and English.